When it is a tie for air conditioning in the heat of summer, knowing which type of air conditioner to buy makes all the difference. 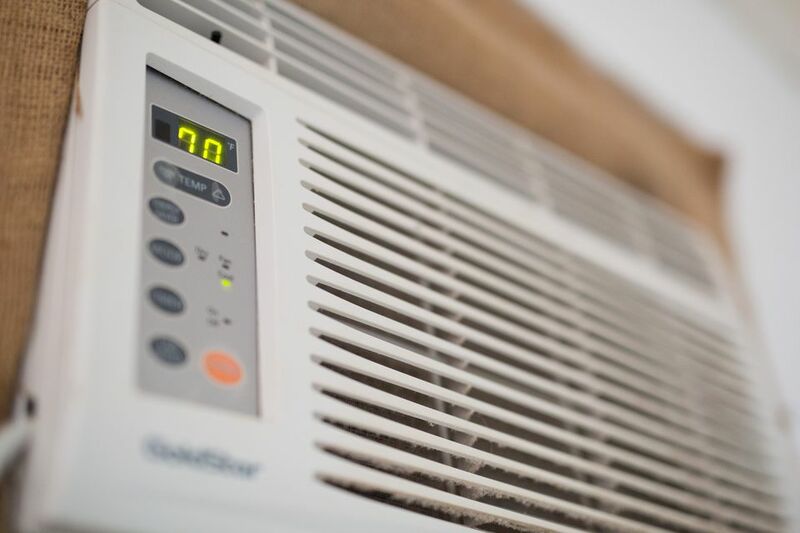 You may need a whole house central air conditioner, a portable air conditioner, a built-in wall-mounted air conditioner, or simply a window air conditioner. Then you need to know which type of AC unit you need, depending upon the outlet available to feed it. It may be a 120-volt model that is most common or a 240-volt model, which are usually larger in size and more efficient as they run. However, this may not be true as they often cool much larger area than that of the smaller 120-volt models. If it's time for a new window air conditioner, but you don't know what size you need, this chart will be helpful. Air conditioners are rated by BTU''s and their cooling capacity is directly related to the number attached to this BTU symbol. The larger the BTU's, the greater the cooling capacity. B using the chart provided, you'll have a good idea of the minimum sized air conditioner to utilize for cooling in your room or areas of the home. Then again, the window air conditioner that you choose may be no more than supplemental cooling for a specific room in your home. I can appreciate that choice for I incorporate that principle in my home. I added a window air conditioner in the bedroom for night time cooling. I use it in addition to the central air, which keeps the entire house comfortable, but not necessarily overly cool, as per the setting. When I want to add a little cooler environment to the bedroom, I simply fire up the energy-saving window air conditioner to cool that room a bit more, making sleeping comfortable. Another factor is physical size. The size of the window air conditioner is directly related to the number of BTU's, let me explain. You see, small window air conditioners have smaller BTU ratings. The larger the BTU cooling capacity, the larger the window air conditioner. This itself may become a problem when the right sized window air conditioner won't fit inside the window opening. This causes a problem, forcing you to choose a smaller unit to cool the room. You may have a room, like a dining room that has more than one window or a home that has a combination living-dining rooms setup in which a couple of smaller air conditioners are used to cool the intended area. The combined BTU's should cool sufficiently and may be the better option as well. The next thing to consider when sizing a window air conditioner is the power availability near the window that you're going to install the unit. Window air conditioners come in both 120- and 240-volt models. Each requires a different electrical outlet, so be sure to check that out in advance of purchasing the unit or you may need to rewire and an outlet for the unit. Also, consider the actual window opening that the unit will be placed in. To do this, open the bottom window and measure the height and width of the window opening. This is the maximum opening that the window air conditioner can fit. The table below lists the square footage of the room and the required BTUs needed to sufficiently cool the room. This gives an indication of the size unit that will run the most efficiently, without overworking the air conditioner on those hot days. What Is Making My Window Air Conditioner Freeze?